Crowds enjoy the brisk weather on the trail during Northwest Colorado Snowmobile Club's Jan. 19 Poker Run. 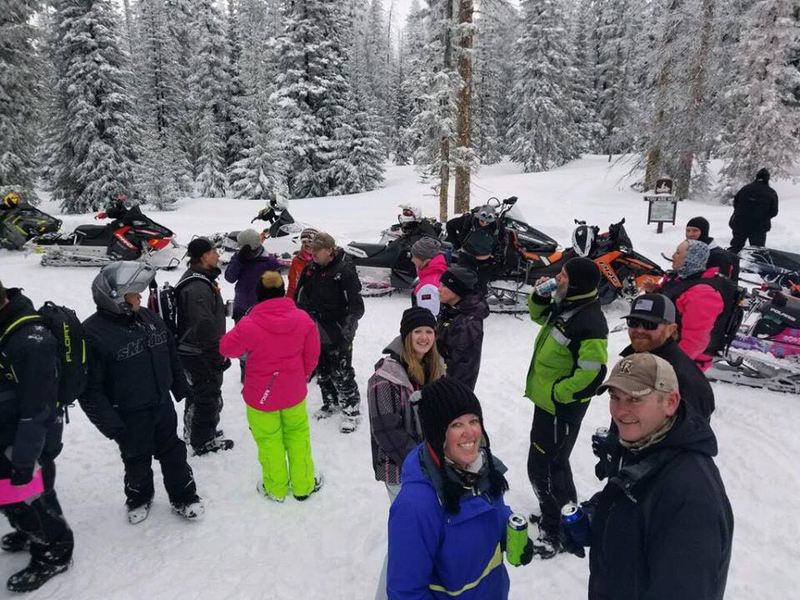 Winter recreationalists cashed in during the Jan. 19 Poker Run hosted by Northwest Colorado Snowmobile Club. The annual fundraiser mixing playing cards and powder north of Craig along the trails at Freeman Reservoir brought in more than $3,000 during the day for the club, which provides scholarship money for local students. Half the pot went to winners with the best poker hands — with a first-place hand totaling $786.25, 25 percent of the final number — while the group also provided more than 120 door prizes donated by area businesses to participants. Club President Brad Moore noted that with nearly 80 competitors, it was one of the best turnouts for the Poker Run.